The original action by Dover District Council, when they destroyed my bungalow in 1989, was unlawful and therefore it follows that every action that the Council has taken against me since, is also unlawful. The current action is a continuation of events which are a direct consequence of the council demolishing my home. Sometime after I was evicted from my property my neighbours contacted me to say that my garden was being used as a local dumping ground, so when somebody wanted to use my land as an allotment, it seemed a good idea to keep the fly tippers away. But it wasn’t a good idea and in fact made matters worse because the person who used it liked collecting scrap vehicles. Despite the Council destroying my home and evicting me they continued to hound me and eventually took enforcement action, because as the landowner I was responsible for clearing the accumulation of rubbish. I returned ‘home’ on 15th June 2002 and set about clearing the scrap cars and the huge amount of rubbish that, over the years, had been dumped in my garden. My family, friends and myself all worked extremely hard clearing the garden and replanting it. It was a very disturbing experience to return to my family home and find it in such a disgusting state, particularly so because it was Dover Council’s wrongful action that had created the mess. On the 26th July 2002 I noticed somebody peering through my front hedge with a camera and guessed he was from the Council. I introduced myself to him and made it very clear that he was welcome to call in at any time, explaining that it was not necessary for him to sneak around peering through the hedges to make his observations. He was extremely embarrassed and gave his name as Mark Mortimer, a part-time Officer with Dover District Council DDC. He went away and I did not hear anything further until I received a letter from him almost two months later. The letter was so absurd and contained such nonsense that I immediately wrote a letter, dated 16th September 2002, to Michael Dawson, (pictured) Chief Planning Officer, explaining the situation and offering to attend the Council offices or meet him at my home to discuss matters. “Thank you for your letter of 16th September 2002. Rather than respond to your letter point by point, I think the best way forward is to accept your offer of a meeting. Therefore my Development Control Manager, Mr Tim Flisher, will be in touch with you in the near future to make arrangements”. Tim Flisher never did get in touch with me that year and neither did he at anytime throughout the whole of the next year, 2003. In fact there was no contact from the council for almost two years until the morning of Thursday 13th May 2004 when my attention was drawn to two men acting suspiciously near to the boundary of my property. When they saw me they concealed the camera they were using. Obviously I was concerned and felt it necessary to enquire as to the reason for their suspicious behaviour. I introduced myself and I learnt that they were employees of Dover District Council DDC, namely Mark Mortimer and Paul Francis, who were carrying out enquiries on behalf of the Council, apparently in furtherance of the ongoing conflict about my lawful right to reside on my property. We had a discussion for a short time at my entrance gate. I advised them, that should they be required to carry out any similar tasks in the future then they were welcome to park on my drive, rather than 100 yards along the narrow lane, which would avoid possible inconvenience to other road users. At Mr Mortimer’s request I gave my telephone numbers so that he was able to contact me more easily in future. Mr Mortimer stated that Dover District Council would be taking renewed action against me in respect of the ongoing dispute over my lawful right to reside on my property. In view of Michael Dawson’s letter of 26th September 2002, accepting my offer of a meeting and promising that Mr Flisher would be in touch to make the necessary arrangements, I was somewhat dismayed to find his officers snooping around threatening enforcement action, particularly as Tim Flisher did not get in touch first. I immediately wrote a letter dated 14th May 2004 to Michael Dawson reminding him that almost two years had elapsed since he accepted my offer of a meeting and explained that it seemed only fair, just and courteous that a meeting, as promised, should have been the first logical step. It was my intention that a meeting would be a way forward to resolve the dispute fairly and amicably. Michael Dawson did not reply to my letter. However I did receive a telephone call from Paul Francis (Enforcement Officer) with the offer of a meeting, which of course I agreed to. In the meantime, I again wrote to Michael Dawson on the 2nd June 2004 to remind him that he had originally promised a meeting with Tim Flisher, the Development Control Manager. I also confirmed acceptance of Paul Francis’ offer of a meeting and explained that, with no disrespect to Mr Francis, he had only been employed by DDC for a short period of time and yet my case spanned some twenty years. I urged that a senior officer, who is familiar with my case, should also be present. Once again, Michael Dawson did not reply to my letter. A meeting was subsequently held at 2.30pm on Thursday the 10th June 2004 at the council offices with Mark Mortimer, a part-time officer and Paul Francis, but neither Tim Flisher nor any other suitably qualified officer attended as I had requested. At the meeting Mark Mortimer’s attitude made it clear that the council were not interested in resolving the situation fairly or amicably, which I thought was the intention of the meeting. 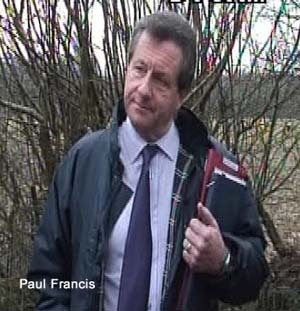 He said they intended to take further direct action against me and Paul Francis warned me that if I did not remove my mobile home then the Council would forcibly do it for me. The council refuse to accept compelling evidence of the long-standing residential use of my property, despite Council records confirming its lawful use, but instead continue to act as if I had placed a mobile home on a Greenfield site (which is categorically not the case). The officers then stated that they needed to inspect my home to confirm that I was living there and a visit was arranged for 3pm on the 18th June 2004. It seemed a strange demand because I had openly stated that I was residing in the mobile home and Council Tax, for residential use, has always been paid. But when they arrived their real motive was made clear. They soon went in to ‘the good cop, bad cop’ routine with Paul Francis whispering to Mark Mortimer (but loud enough for me to hear) how and where they would fix the chains on my mobile home in order to drag it off my land. They were clearly trying to intimidate. It transpired that the two meetings I had with these officers were merely a convenience for them to gather evidence, contrary to my understanding, which was an attempt to seek a fair resolution to this dispute. In view of their behaviour I wrote to Tim Flisher on 12th July 2004 to seek confirmation regarding the council’s proposed action. I also expressed my concern that over the past few years I had entered into lengthy and carefully considered correspondence with Dover District Council DDC but often received no reply and that on numerous occasions I requested a meeting but those requests were either ignored or refused. I also asked Tim Flisher to confirm when my case was to be heard, in order that I had the opportunity to present a full summary to the Planning Committee for their consideration, before a final decision is made. As I did not receive a reply to my letter, Debbie (a friend who is assisting me) telephoned Tim Flisher on 26th July 2004 and discussed with him the contents of my letter of 12th July. He admitted to having received it but not having read it. She explained the frustration of never receiving a timely response to any issues raised with the Council. Tim Flisher explained this delay, was in part, because he was awaiting a copy of a report from his officer, Mark Mortimer. Tim Flisher stated that he placed great importance on receiving this report before matters could proceed. This marked the start of protracted correspondence regarding Mark Mortimer’s ‘report’ and resulted in an exchange of fifteen letters, including me requesting sight of a copy of the report from Tim Flisher, who refused my request and referred me to DDC’s legal department where the council’s assistant solicitor, Lee May, informed me it was exempt information. The Council went to great lengths to refuse me access to this ‘important document’ only for me to discover much later, that the crucial report does not exist! If it does not exist, why was I refused access to it? Tim Flisher did not reply to my letter of the 12th July so Debbie telephoned him again on 9th August 2004 and discussed their previous telephone conversation of 26th July (most of which he needed reminding of). He undertook to reply to my unanswered letter of 12th July. Tim Flisher did eventually reply to my letter informing me that on 19th February 2004 (in a secret meeting, six! months earlier) the Planning Committee resolved that funds be made available to employ contractors to remove my mobile home. At no time did the Council have the courtesy to inform me about their intentions or give me the opportunity to present any form of defence, which is a clear breach of Article 6 of the Human Rights Act 1998, which guarantees the right to a fair hearing. The Planning Committee made their decision based solely on the Planning Department’s report, which was biased, misleading and incomplete. Clearly, during my meetings with Mark Mortimer and Paul Francis, they were hiding under a cloak of deceit. They knew of the Planning Committee’s decision when they met with me on the 10th and 18th June and said nothing. Equally, when I wrote to the Council’s Chief Planning Officer, Michael Dawson, on 14th May and 2nd June he should have informed me that the Council had already made a decision to forcibly remove me. But he said nothing, which amounts to deliberate suppression. He didn’t even acknowledge receipt of my letters. The Council went through a charade knowing what their intentions were, all along. 19th August 2004. I wrote to Tim Flisher stating that the contents of his last letter contradicted the information he had given Debbie during his telephone conversation with her on the 9th August, when he said that the Planning Committee was still to be advised upon the full facts before being asked to decide on whether any action was to be. Yet, in his letter to me he stated that the decision had already been taken, six months ago. I asked him to clarify the position. 14th September 2004. Tim Flisher did not reply to my letter so Debbie telephoned him. He cited resource problems as his reason for not responding to my letter. He also confirmed that a decision was indeed taken at the February Planning Meeting to take direct action against me but as a result of the representations I had made it was decided that the Council should further research matters to ensure that any action they may take was lawful. He added that it was now the Council’s intention to put the matter back to the Planning Committee with the further information obtained by their enforcement officers and as a result of research carried out by their legal department. It became clear that another rash decision, taken by the Council in that secret meeting in February, was based on insufficient and incorrect information. Yet another example of a heavy-handed blunder by the Council with them acting first and asking questions afterwards. Debbie attempted to discuss the historical situation with Tim Flisher but he refused to discuss or comment on any action taken historically and advised her that his responsibility was solely in relation to current matters and he repeated this several times during the course of their conversation. Debbie remonstrated that current matters were a direct consequence of the Council’s original, unlawful action and therefore all subsequent action would be unlawful also, which makes the historical events highly relevant. Tim Flisher continued to refuse to discuss any action taken historically. 15th September 2004. Tim Flisher responded with a letter in which he confirmed that the Committee’s decision taken in February 2004 was made on the basis of the information then available to it, since when the Council had retracted its decision because of the information I had submitted. In his letter, Tim Flisher also informed me that I would be served with a Planning Contravention Notice (PCN) within three weeks but emphasised that it was not an enforcement notice but a means where the Council can find out about activities on my land, adding that I would later be invited to meet officers to discuss the Notice. 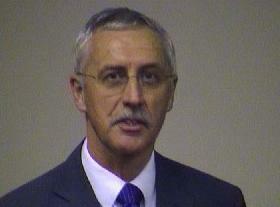 He also informed me that Mark Mortimer had now left the Council. 20th September 2004. I wrote to Tim Flisher thanking him for clarifying the situation and to inform him that I would be pleased to complete and return the Planning Contravention Notice. 11th October 2004. The PCN was not served within the time stated so Debbie telephoned Tim Flisher. He stated that the document was with him, awaiting his comments, before being returned to the legal department for the final touches before it was despatched. He anticipated this would be completed by the end of the week. 18th October 2004. The PCN still did not arrive as promised so Debbie once again telephoned Tim Flisher enquiring as to the current progress of it. He was unable to indicate when it would be ready but stated that personal service would be necessary, advising Debbie to contact Lee May (Council solicitor) directly and arrange a suitable time for it to be collected. As Tim Flisher had previously placed great emphasis on receiving Mr Mortimer’s ‘report’ before matters could be progressed, Debbie asked whether we could be furnished with a copy. Tim Flisher stated that this was not usual practice and that he would have to seek advice from his legal department. It was agreed that if a formal written request were made, it would be considered and responded to. Debbie telephoned Lee May regarding the PCN, as advised and he anticipated that: “It would be ready on Tuesday 19th and Mr Moulder would be welcome to collect it” Lee May told Debbie that he would telephone me to confirm when it was available for collection and if for any reason I did not hear from him on Tuesday, then I was to telephone him on Wednesday. I did not receive a call from Lee May and so I telephoned him on Wednesday morning, as arranged. Lee May bluntly told me that the PCN had been sent the previous day by recorded delivery. This was completely at odds with our arrangement, which was put in place because it was likely, as actually happened, that I would not be at home to sign for the letter. This was yet another example of Dover District Council not carrying out their undertaking. 23rd October 2004. I wrote to Tim Flisher to formally request a copy of Mark Mortimer’s report, which detailed his findings following his investigation into my residence of ‘The Oaks’. 1st November 2004. An email from Lee May confirms that a meeting has been arranged, in connection with the PCN, for the 16th November. 3rd November 2004. Tim Flisher refuses to provide a copy of Mark Mortimer’s ‘report’. 5th November 2004. In an email to Lee May I make a second request for a copy of Mark Mortimer’s ‘report’ that Mr. Flisher refused me access to. Lee May replies, informing me that the ‘report’ I require is exempt information but in order to assess whether or not the information I requested should be made available to me, it will be necessary for him to go though the relevant papers in consultation with the planning department (the department I contacted in the first place). 9th November 2004. In a letter to Lee May, Debbie questions Lee May’s reasons for refusing to provide a copy of Mark Mortimer’s ‘report’ and refers to the Freedom of Information Act which is due to come into force on January 1st 2005. 12th November 2004. In response to numerous requests for a copy of Mark Mortimer’s ‘report’, to which Tim Flisher had repeatedly attached great importance, I received a letter from Lee May in which, for some bizarre reason, he enclosed copies of two brief, typed notes written by Paul Francis, although it had been made abundantly clear that it was a copy of Mark Mortimer’s ‘report’ that was required. 14th November 2004. Debbie wrote to Lee May stating that the two file notes he had sent and which were written by Paul Francis, merely provided ‘details’ of the two most recent meetings that had taken place. She confirmed to him that for the avoidance of doubt the document required is the Mark Mortimer report that Tim Flisher stated was important for him to see before he could consider a meeting to progress matters. Debbie made a further request for a copy of the ‘report’. He ended by saying that either Mr Flisher or himself would revert to me on this point as soon as possible. It didn’t make sense for the Council to go to such great lengths to refuse something that didn’t exist. Tim Flisher instigated the saga of the ‘Mortimer report’ and I requested a copy only because he placed great emphasis on its importance and he explicitly gave that as a reason why he could not progress matters. There were no less than fifteen letters exchanged with the Council relating to Mark Mortimer’s ‘report’ and in view of such extensive correspondence over this specific document it is reasonable to assume that it did in fact exist. If it did not exist why did Tim Flisher refuse to release the document and why did Lee May quote relevant sections and subsections of the Freedom of Information Act in order to support his refusal to release this document? Why did such a critical document never materialise? It might lead one to conclude that the document has been suppressed or destroyed because it contained information, which if released, could compromise the Council’s position. 16 November 2004. A Time and Place meeting, to discuss the PCN, was held at the Council Offices with Tim Flisher, Lee May and Paul Francis. Debbie, along with Mr Lawson, a lawyer, accompanied me. At the meeting the Council recommended that I submit a planning application, which I agreed to but I suggested that a meeting at my home would be useful before confirming the type of application I should submit. Tim Flisher indicated that there might not actually be a Mortimer ‘report’ after all, although some rough notes might have been made! We were advised to make a formal, written request (again). Lee May stated (wrongly) that one of my difficulties was that my land was a Greenfield site. I challenged him on this false statement and informed him that it was in fact a Brownfield site. He promised to go away and check. Brownfield land is the common term for ‘Previously Developed Land. It is defined in Planning Policy Guidance Document 3 (PPG3) “Housing” (2000) as land which “is or was occupied by a permanent structure……….” And occurs in both built-up and rural settings. Greenfield land is virgin land, a field or area where development has not previously taken place, a site which has not been built on before, any land that has not been previously developed, most often in rural areas such as farmland. 24th November 2004. In a letter to Tim Flisher Debbie made a formal, written request in accordance with the Freedom of Information Act 2000 for all relevant notes relating to Mark Mortimer’s investigation into my case. She also requested a copy of the report of the Chief Planning and Building Control Officer which was put to the Planning Committee on Thursday 19th February 2004 which resolved that funds be made available to employ contractors to remove my mobile home. 29th November 2004. Letter to Tim Flisher telling him that I am pleased to accept the advice he gave me at our meeting at the Council offices and I will prepare and submit my planning application as soon as possible. 29th November 2004. Email from Tim Flisher acknowledging my intention to submit a planning application and suggesting that we can discuss the details at the meeting at my home scheduled for the 9th December 2004. 9th December 2004. A meeting at my home went ahead as planned, attended by Tim Flisher, Lee May, Paul Francis, Debbie and myself. The purpose of the meeting was to enable DDC employees to familiarise themselves with the site and its current appearance and clarify any areas of uncertainty with regard to my planning application. From my point of view I wished to ensure that DDC were fully acquainted with all aspects of the site and its surroundings, update them as to my intentions and obtain their view on my proposed course of action and time scale. Debbie asked Lee May if he had been able to clarify whether he considered the status of my land to be a Greenfield or a Brownfield site. He stated that since our meeting at DDC offices when this issue was first raised my file had been returned to his tray and he had not been able to consider it further (Obviously not that high a priority!) Rather concerning as the land’s status is an important material consideration. Lee May never did clarify the classification of my land as Brownfield or Greenfield. However, later during my complaint against the Council, their Professional Standards Investigator confirmed that the Council accepted it was indeed a Brownfield site and not Greenfield. 28th February 2005, submitted my planning application, entitled “Use of Mobile Home, Garden Sheds and Greenhouse for Residential Purposes”.